It is no secret that my family is passionate about books. As a homeschooling mom, it is such a treasure when I find children’s books that are not only entertaining but also educational. Awarding winning, Barefoot Books, my newest discovery, transforms the readers directly into the story with captivating tales that are unique, creative and inspiring. 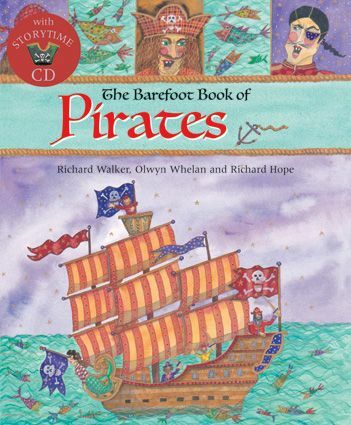 The Barefoot Book of Pirates by Richard Walker, Olwyn Whelan and Richard Hope is a timeless treasury of swashbuckling stories and folk tales from around the world. My five year old son and even the two younger children sat captivated as I read the first two stories aloud including “The Captain’s Goose” and “Robin Hood and the Pirates.” These stores were created for early readers and use interesting vocabulary and the most amazing illustrations. During quiet time the kid’s enjoyed looking at the illustrations. I really appreciated that this book had a storytime CD included so that while I was make dinner and my son was begging for more stories, I could let him sit with his book and listen to the tales independently. It also opened the door to discussion about various cultures around the world including Scandinavia, Japan, Scotland, Ireland and more. My daughter, age 4 was spellbound by The Real Princess: A Mathemagical Tale written by Brenda Williams, illustrated by Sophie Fatus and narrated by Juliet Stevenson. It is a charming twist on the Princess and the Pea and includes math fun along the way. My kids were counting and having fun throughout this entire fairy tale. The CD that accompanies the book is such a wonderful bonus and again, my children sat quietly for 30 minutes listening to “The Real Princess” while I did chores around the house. When we were in Ohio on vacation recently, the kids had a chance to ride on a real combine tractor and cut wheat with the farmer next door. 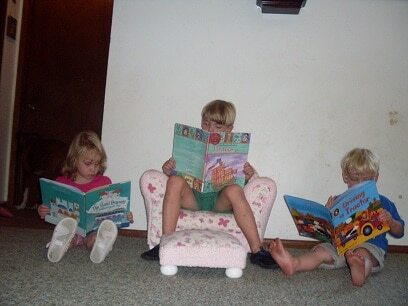 My kids were so excited to read the book, Driving My Tractorby Jan Dobbins and David Sim and spent the afternoon singing along to the catchy tunes on the CD by SteveSongs. I used the text to help with our school lesson as it takes you on a tractor ride through the seasons, farm crops and “along a bumpy road.” My boys devoured the pages that had all of the different tractors listed. The illustrations are so colorful and vivid and the story just comes to life. Barefoot Books believe passionately in fostering our children’s imaginations and love for make believe by “exploring other culture’s, our planet, ourselves.” Barefoot Books has an amazing selection of books that is sure to inspire your favorite child. Barefoot Books also has an ambassador program that was recently featured on Good Morning America. To see the entire feature click the button on the homepage. To purchase these Barefoot Books titles or to browse the entire book collection visit their website. Voted today on Picket Fence Blogs. “The Barefoot Book of Classic Poems”! The Gigantic Turnip looks like a cute book, thanks. I like the Penguin Cool Mist Humidifier at your Open Sky store. I like Portside Pirates for my little guy. I follow Barefoot Books on Twitter (mail4rosey). 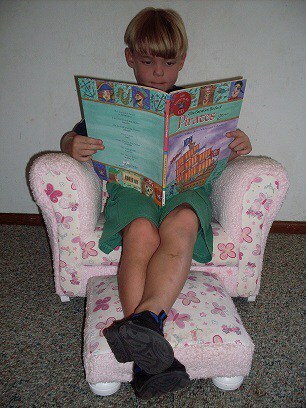 I would love to have The Barefoot Book of Princesses! Voted for Simply Stacie on Picket Fence Blogs. Signed up for Barefoot Books email updates. Daily vote at Picket Fences. “The Barefoot Book of Monsters!” looks like a fun book! I signed up for Barefoot Books email updates.